Memorial Day has come and gone and with it the unofficial start of summer. Of course, if you live where I do, the melting from high temps in the 90s started about a month ago. Summer doesn’t just bring the heat, it also brings the humidity. This means having fun in the sun requires a lot more work on my hair and skin. Luckily, I’ve discovered some new hot weather essentials to help me feel refreshed and ready to go. After a long day of being outside, there’s nothing I’d rather do than take a nice long shower. Washing off the sweat or the left-over sunscreen of the day away always sounds so appealing. Even though it’s hot and humid outside, my dry skin still needs hydration. I’ve found the perfect solution in the form of Senteurs D’Orient Hammam Soaps in Jasmine of Arabia. This soap on a rope has a fun retro feel and an intense floral scent. It was a little overwhelming at first, but did dissipate after a few uses. Each soap is handcrafted by Lebanese artisans and made from essential oils, fine fragrance, Olive oil, Shea butter, Vitamin E, and Glycerin. The soap is then air-dried for 10 days before being etched with the signature filigree. The result is a beautiful, luxurious soap that lathers to perfection while also treating my skin to pure hydration. 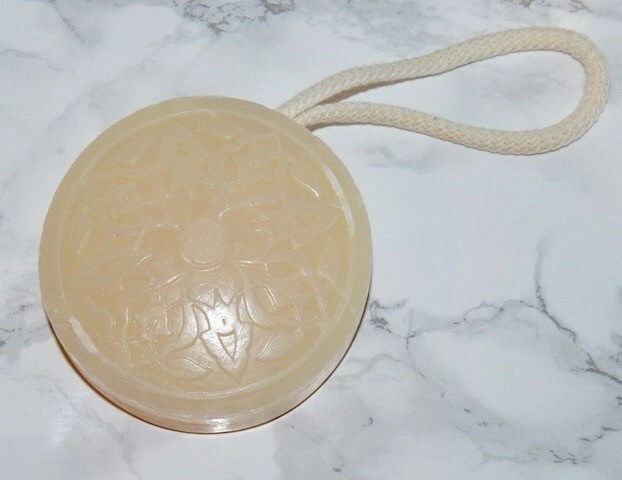 Each time I use this glorious Jasmine infused soap on a rope, I feel like I’m giving my sun soaked skin a little extra TLC. I’m also happy to know that a portion of the proceeds from each sale of Hamman Soaps helps women in Lebanon get the education they deserve. Of course, before I jump into my shower, I like to take my eye makeup off. Or sometimes if I’m too lazy I often let my face wash do the work for me first. But no matter when I chose to remove my eye makeup, I always want the experience to be gentle. This can be a huge challenge for me because I have extremely sensitive eyes. Even products that claim to be gentle or made for sensitive eyes can cause me irritation. I was so excited to learn that Burt’s Bees had come out with their own eye makeup remover pads. As a huge fan of this cruelty-free brand, I couldn’t wait to test out these fragrance-free, kiwi extract infused pads. I’m happy to report, they didn’t disappoint. Designed to be gentle on all skin types, safe for contact lens wearers, and hypoallergenic the Burt’s Bees pads didn’t irritate my eyes in any way. 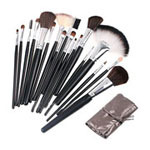 They gently removed my makeup, even tough black eyeliner and long-wearing mascara, without leaving an oily residue. Plus, they left my delicate eye area feeling nourished. I know I will be repurchasing these eye makeup remover pads long after the summer sun has faded into fall. Now that I’ve taken care of my skin, I need to treat my hair. I put my hair through a lot of in the summer, especially because I love using sea salt or wave sprays for that tousled look. However, these products can leave my hair feeling a bit dry or crunchy. To help keep my hair looking good, well as good as you can look in 100% humidity, I like to use a treatment or mask. This can also be a struggle since I have fine, oily prone hair. 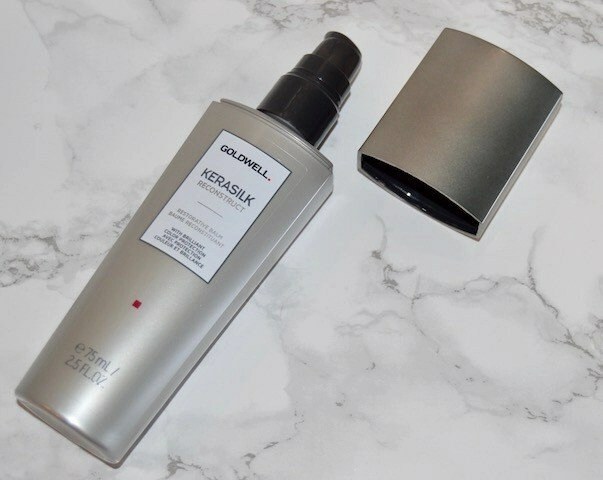 I was curious to see how the Goldwell Kerasilk Restorative Balm would perform for me. Formulated with Keratin and Hyaloveil, this restorative balm is designed to improve the elasticity of stressed and damaged hair. It also helps with breakage, prevents dryness and protects against heat. After trying out this balm, I find it’s a little too intense for my hair. I think it would work better for those with thicker hair or very dry hair. If you are going to use it on fine or oily prone hair I would recommend a light application. I had to rinse out my hair the next day because it felt a bit too greasy. Though I will say after doing so, my hair felt and looked fuller and I didn’t notice as much fallout as I typically experience. I think I might just save this treatment for days when I wash my hair after using a sea salt or texturizing spray and it needs some extra nourishment. 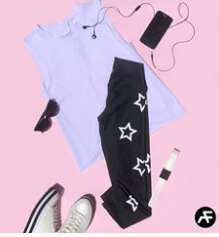 Whether you love summer or are just counting down the days till fall, using hot weather essentials can make enduring the heat and humidity less of drag. What are your hot weather essentials? How do you keep your skin and hair looking great all summer? I need those eye make up remover pads! I was just saying this morning how I need a good eye make up remover. Great picks! I swear burts bees can bring someone back to life, that is how great it is! Love the soap on a soap! And the eye make up removal pads. I’d like to try both. I love humidity! It does wonders for my skin and makes me so happy. I am picking up the burt’s bees eye makeup remover pads. I have been looking for a solution and this is awesome! I love everything about Burt’s Bees. I had no idea they had make up remover though that is pretty awesome! Eye make up remover pads are essential to me. I wear most of my makeup around my eyes! 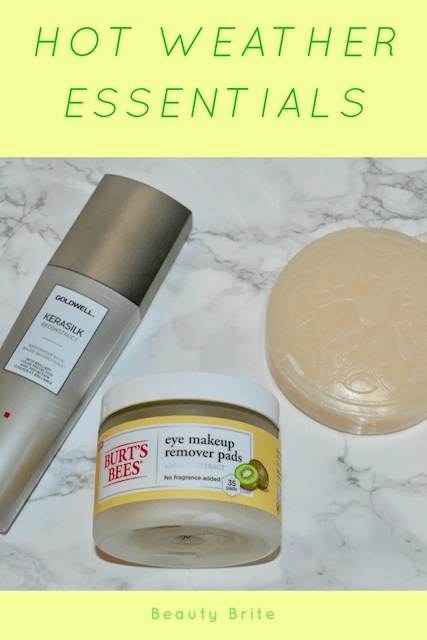 I’d love to give those makeup remover pads a try – I quite like berts bees! I have been contemplating which eye make remover should I buy which is handy. This is perfect. Does the job and easy to carry. That soap looks glorious. I think these are perfect for taking care of yourself during the summer! It’s good to have products that will make you feel pampered. I love Burt’s Bees! I am definitely going to check out the soap on a rope for sure! I just won a few Kerasilk products in a Mother’s Day giveaway and am loving what they are doing to my hair! So much time in the pool for summer definitely needs deep conditioning. My hair takes a lot of damage in the summer. I would love to try that restorative balm on it once and see how it works. It couldn’t hurt or make my hair any worse. 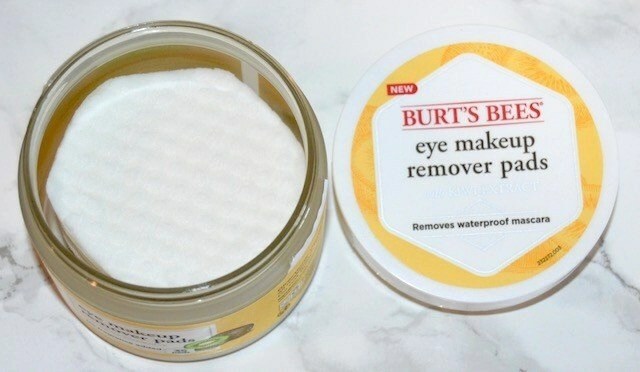 I haven’t tried the Burt’s Bees Eye Makeup Remover Pads yet, but I love this brand! I’ll also have to check out the other products that you’ve mentioned. That kerasilk balm product looks amazing! M hair can get pretty dry from bleaching, definitely checking that out! I really want to check out those makeup removers pads from Burt’s Bees. It is so hard find remover pads that don’t irritate my eyes.